Short answer: report the scammer’s phone number to the FTC at 888-382-1222. Long answer: it’s obnoxious and not very effective. So I have a question! We still have that 888 number calling hubby’s boss saying they are going to take legal action and ya da ya da! I called them today and spoke with someone. She said it’s from 2013 from hubby for a payday loan place, and that it can’t be included in that bk that was discharged because it was signed saying we weren’t planning filing bankruptcy and wouldn’t on that? It was included in that bk however! So is this a legit bill we need to take care of or was it included in that bk? First, I reassured her that it was a scam. Unfortunately, after bankruptcy (or even outside of bankruptcy once the statute of limitations for debt collection has run), we still have shady collectors who sell off their bad debt to bad debt buyers. 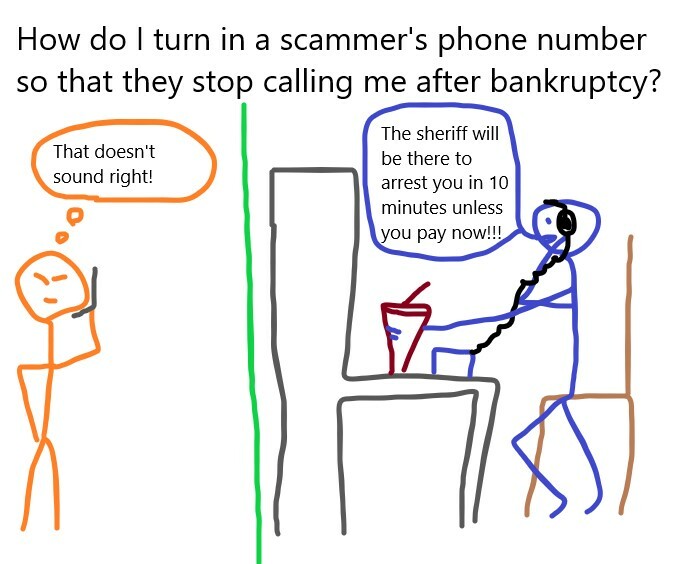 These companies will start calling you after a bankruptcy and saying that the debt wasn’t included, wasn’t discharged, and a police office is coming to your home in the next 10 minutes to arrest you if you don’t make a payment over the phone immediately. Of course it’s a scam, but it’s still scary when you get the phone call. When you get the call, don’t hesitate to contact your bankrutpcy attorney. He’ll tell you it’s a scam 99% of the time. It also gives you peace of mind. 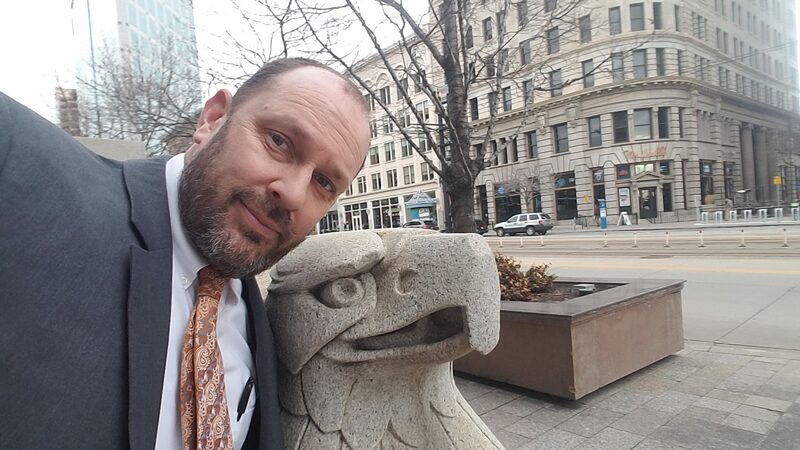 This entry was posted in Utah Bankruptcy on March 22, 2019 by robertspaynelaw. 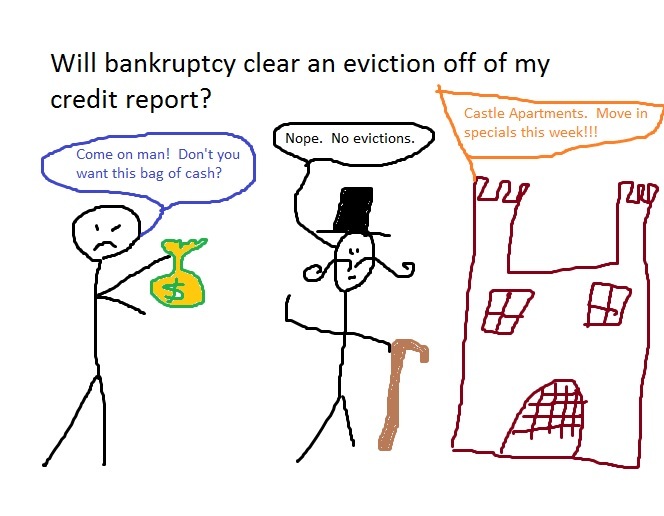 Bankruptcy will discharge the debt that you owe, but that eviction will stay on your credit report for 7 years. When you file bankruptcy (either a 7 or a 13), you seek a discharge of your debts. When the debts are discharged, this means that the money you owe is wiped out and they cannot collect on you anymore. Unfortunately, sometimes they can still report on your credit. Creditors cannot report that there is any remaining balance (because the balance was discharged), but they can still report evictions. This means that it will be much harder to get an apartment. On the plus side, after your bankruptcy, your credit score jumps and you no longer have any outstanding debt. See, I told you those two things were not very helpful. In the end, the eviction stays on your credit, but at least we can wipe out the actual debt that you owe. This entry was posted in Utah Bankruptcy on March 20, 2019 by robertspaynelaw. Nothing at all. It is protected. Under Utah law, your public assistance is “not assignable at law or in equity.” Utah Code 35A-3-112. This means that a creditor cannot levy, execute, attach, or garnish your public assistance. This also means that a bankruptcy trustee cannot take it. I have a client who just received $1,500 in diversion assistance. 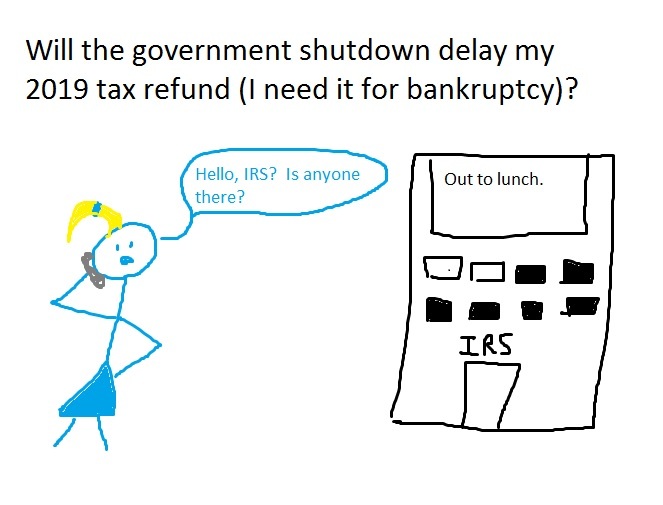 It is sitting in her bank account, and we want to file bankruptcy today. We can. 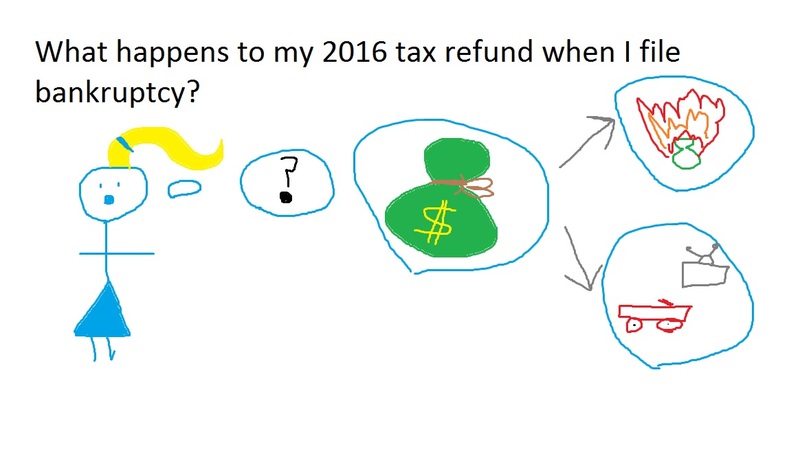 I simply need to identify that money as state assistance and then exempt it (protect it). This way, the bankruptcy trustee and her creditors cannot demand that we turn it over. 35A-3-112. Assistance not assignable — Exemption from execution, garnishment, bankruptcy, or insolvency proceedings. (1) Public assistance provided under this chapter is not assignable at law or in equity. (2) None of the money paid or payable under this chapter is subject to:(a)execution, levy, attachment, garnishment, or other legal process; or(b)the operation of bankruptcy or insolvency law. In other words, it is safe. Now the bigger question comes up: what exactly is public assistance? Under this code section, public assistance refers to: cash assistance under the Family Employment Program 35A-3-302 and/or a diversion payment (which is a one-time payment under 35A-3-303). Yes, there are other kinds of public assistance, and most of those are protected under other exemptions. As usual, I must advise you to check with your attorney if you have questions. 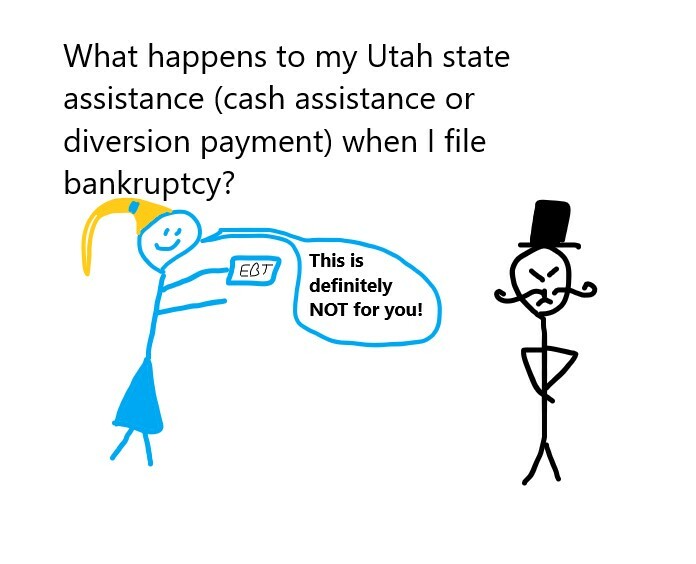 This entry was posted in Utah Bankruptcy on March 12, 2019 by robertspaynelaw. In a chapter 13, no. When you file a chapter 13 case, you can put your auto loan into your chapter 13 plan and start making payments through the chapter 13 trustee (more below). In a chapter 7, 99% of the time, you will have to be current on payments eventually if you want to reaffirm and keep the loan (more below). In a chapter 13 case, you file a plan with the court. 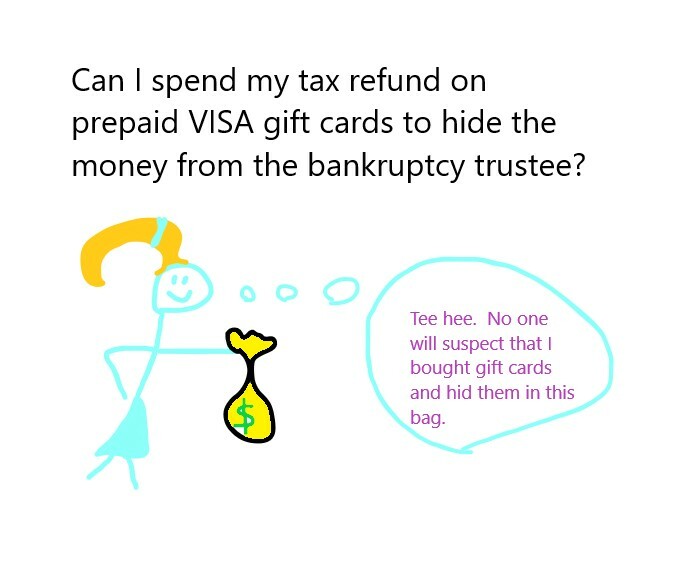 In this plan, you start making monthly payments to the chapter 13 trustee, who then makes payments to various creditors. Your car loan will be part of this plan. 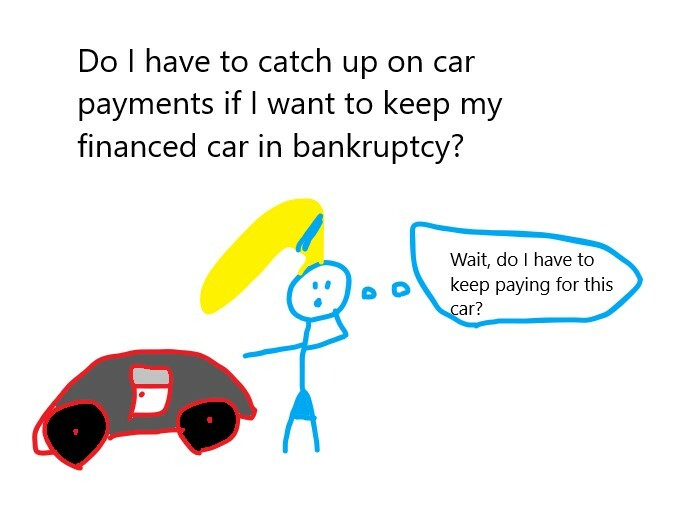 It does NOT matter if you are current on car payments. Even better, your payments won’t start until next month. For example, let’s say that you file a chapter 13 today. You stop making car payments immediately (or maybe you already stopped). Your first chapter 13 plan payment will be due on the 25th of next month. As of this blog, today is March 8th. If we filed a chapter 13 today, you would start making plan payments (including the car payment) beginning April 25th. In a chapter 7 case, if you want to keep a car loan, you reaffirm the debt. You can find reaffirmation elsewhere in the blog, but basically, you sign a new agreement to pay the same balance, interest, and payments on your car. 99% of the time, the creditor will NOT let you reaffirm unless you become current on the car loan. That doesn’t mean that you need to be current on the day you file your chapter 7, but in the next 2-3 months, you need to catch up on those missed payments. If you are behind 2-3 months into the chapter 7, they will definitely repossess the vehicle, and you will not be able to reaffirm. 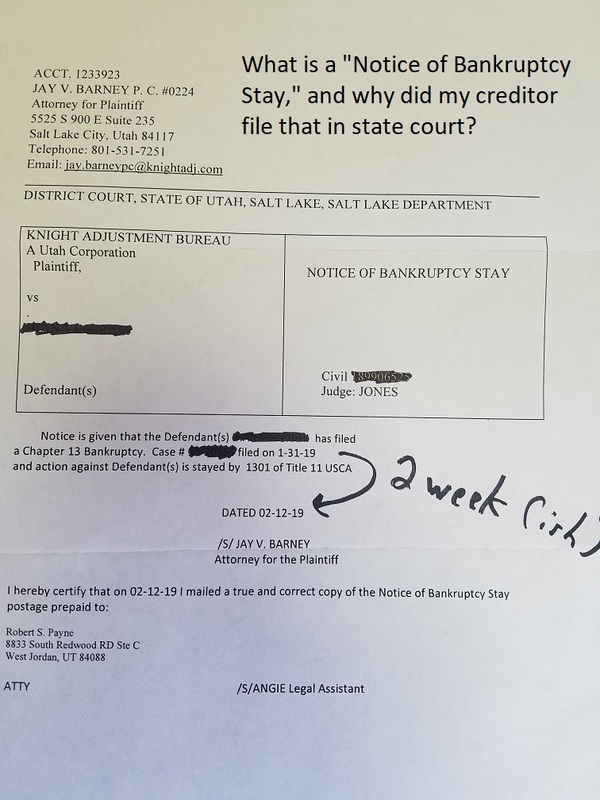 This entry was posted in Utah Bankruptcy on March 8, 2019 by robertspaynelaw. 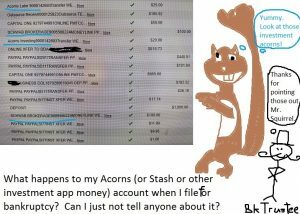 What happens to my Acorns (or Stash or other investment app money) account when I file for bankruptcy? Can I just not tell anyone about it? On the day we file bankruptcy, we try to keep your combined bank accounts below a total balance of about $300, because there is a good chance that the bk trustee will order you to turn over the money in your account on the date of filing. That means that if your payday is on a Friday, then we want to file bk on a Thursday when you don’t have much money left in your account. Certain monies, retirement accounts in pensions, 401ks, and IRAs are generally protected in bankruptcy. You could have $50,000 in your 401k, and that can be exempted (protected) in bankruptcy. However, there are no good Utah exemptions for cash on hand (like money in the bank account). There are various investment apps like Acorns and Stash, which allow you to put pennies or more into investment accounts. If the money is going into a 401k or IRA, it may be protected. However, most of these accounts are simply investment accounts with no retirement exemptions. In other words, if you have $500 in your Acorns account, you may have to turn that over the bk trustee after you file, because it is simply cash on hand. And yes, the trustee can order you to cash out your investment app monies and turn the cash over to him. First off, that’s bankruptcy fraud. Don’t commit fraud! Disclose all of your assets so that you can get a real discharge of your debts and get a fresh start. Second, the bk trustee has been doing this much, much longer than you have, and he can smell a lie. When we meet with the bk trustee, he will ask for your bank statements for that last month, and sometimes for the last 6 months. 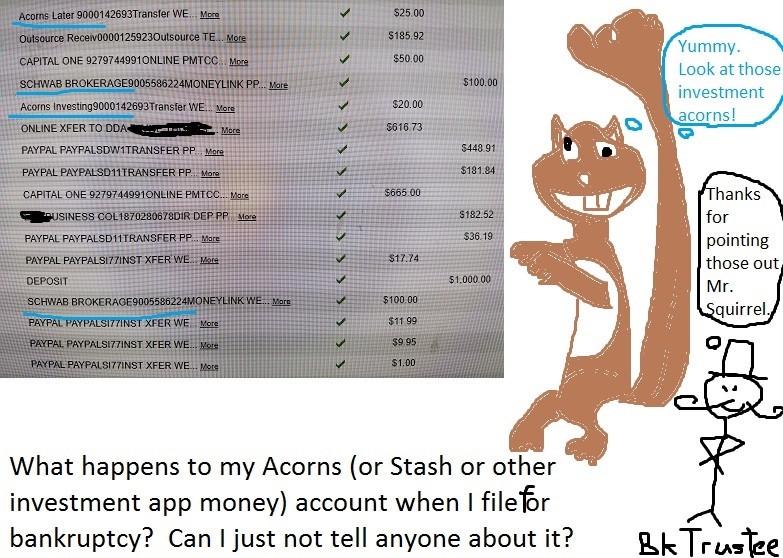 Those bank statements will clearly disclose that you’ve been stashing money away like a chipmunk stashes acorns. (See what I did there with Stash and Acorns)? If you have investment accounts, tell your bankruptcy attorney before you file. He will help you figure out if you can protect them, if you should liquidate them, or if it’s not a big deal. But definitely don’t lie, and don’t try to hide anything. This entry was posted in Utah Bankruptcy on January 16, 2019 by robertspaynelaw. 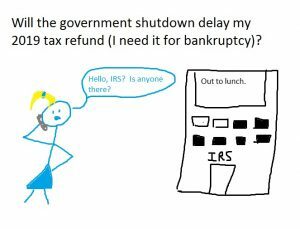 Will the government shutdown delay my 2019 tax refund (I need it for bankruptcy)? No, it will not. Thank goodness! If you file bankruptcy before you receive and spend that tax refund, you just may lose it. This means that lots of clients with large families wait. This year, we have the current government shutdown with President Trump, the proposed border Wall with Mexico, and Democratic opposition to the same. None of that affects your personal bankruptcy. The IRS will still have employees process tax returns as of January 28, 2019. 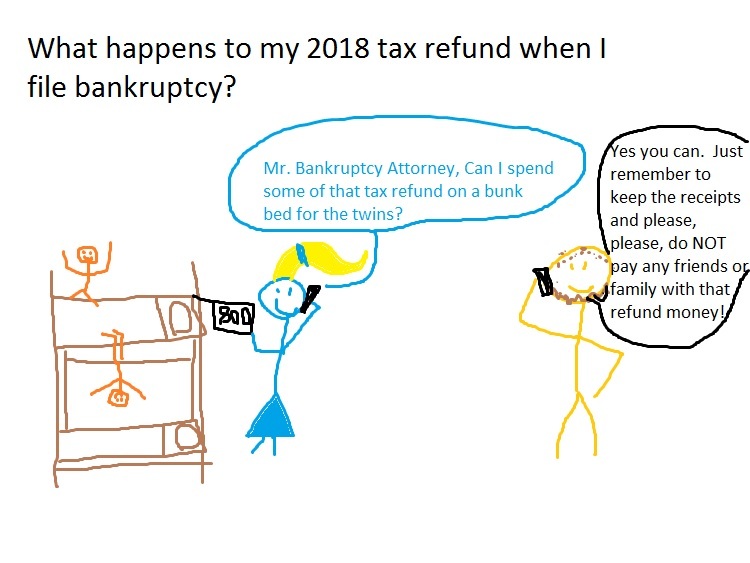 So file those tax returns on January 28, 2019, use the refund to pay for your bankruptcy, spend the rest on food storage, clothing, and necessary medical, and we can file your bankruptcy case and get you a fresh start. 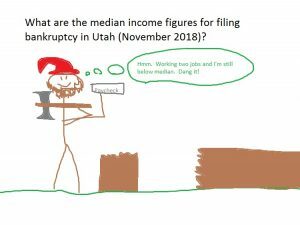 This entry was posted in Utah Bankruptcy on January 9, 2019 by robertspaynelaw. What happens to my 2018 tax refund when I file bankruptcy? 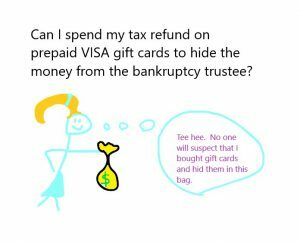 That means that if you are receiving a large refund, you’ll probably want to hold off on filing bankruptcy until February or March of 2019. Just remember that you want to receive it and spend it before we file. Don’t pay off friends or family! Call me if you have any questions on how to spend it. You can even text me on a Saturday at noon as you’re standing in an RC Willey trying to decide if you should purchase the new $800 bunk bed set for the twins (yes, you can). You can text me at 801-787-8860. 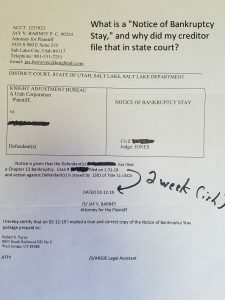 This entry was posted in Utah Bankruptcy on December 10, 2018 by robertspaynelaw. 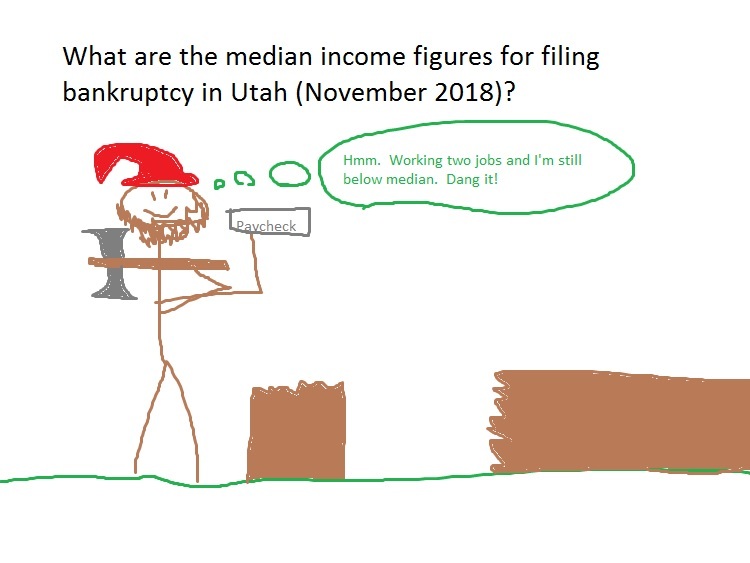 What are the median income figures for bankruptcy in Utah (November 2018)? Basically, if you are over, then you are a chapter 13. If you are under, then you are a chapter 7. If you have more than 10 children, you’re probably going to be below median. I have 11 children, and I know how expensive that can be. This entry was posted in Utah Bankruptcy on November 26, 2018 by robertspaynelaw.